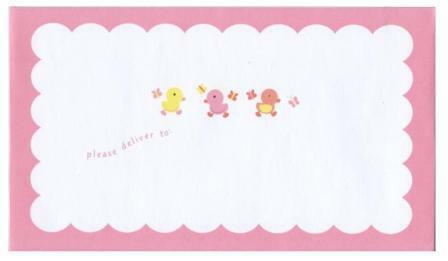 Adorable invitation features a pink duck & butterflies with a scalloped border of pink and whilte polka. 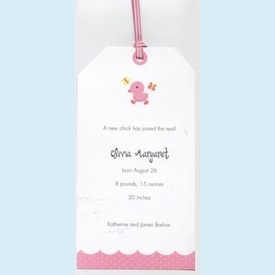 A pink & white ribbon loops through the top to complete this perfect invitation for announcements, showers or young birthday party. Customer assembly required. 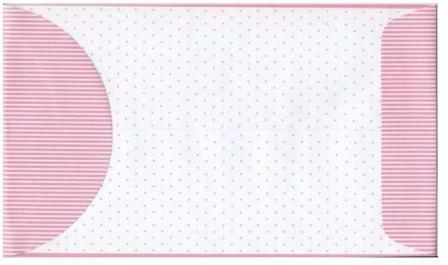 Due to the nature of the envelope, we are unable to print on them. CLOSEOUT...only 3 sets left! SIZE DIMENSIONS: 4.25" x 7.50"